DROIDX Spotted Running Android 2.2? 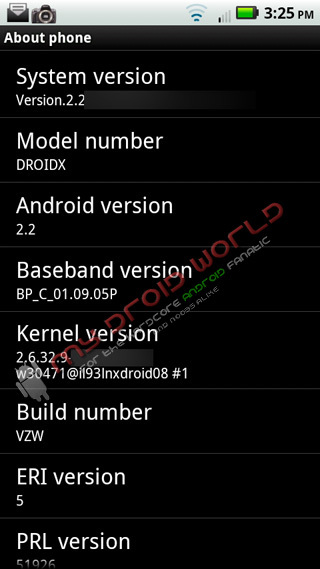 A screenshot of an apparent Droid X device running Android 2.2 has appeared today and should excite the massive amounts of new DX owners out there. We are finding it a little odd that this 2.2 build somehow has root access, hence the Drocap2 icon up top, but overall matches up pretty closely to our picture of the Droid 2 running Froyo. It sure would have been nice to see the full device like we gave you with the D2…OK now we’re just being greedy. We’ve heard rumors that this update could happen next week along with the Droid 1 and Incredible, so hold on to your update britches!